Work work and then “play”? For the first time in a while I worked a full day and then played a game of evening league chess. I do have a very great lifestyle (Thanks hubby) which allows me to work part time and occasionally full time but it’s been a while since I’ve done a 7am bootcamp, an 8.5hour day then headed off to a chess match. A few weeks ago, I also started a Fitness Bootcamp. “Why?” you may ask. Well, because I felt that being 22, it’s the time in my life that I should be physically fit. At school I hated all forms of exercise and I’m not so sure why as now I really enjoy team sports but I really believe that it’s just part of what should be everyday life. My bootcamp is held 3 times a week and a Paleo diet is optional and I’m trying it out! It’s quite hard as a pescatarian as you are supposed to eat 55% meat and lots of vegetables but instead I’ll have some cheese and loads of veggies. The first few days were quite difficult but now I’m getting into a very healthy routine and I’ve had no caffeine, alcohol or chocolate for 3 and a half(*Note, Since I wrote this post, I’ve visited the Grandparents who have an extremely sweet tooth. Had pudding with dinner every night and also a visit to a lovely chocolate store with lots of cake!!). You might think that’s very good (nun like??) of me but seeing as I normally don’t drink alcohol or coffee it isn’t as hard as it would be for most people. It was my birthday earlier on in the week, so I’ve taken the diet easy. After thinking about it, I’m going to do a 5day Paleo diet and 2 days of what I want to eat (within moderation). I actually haven’t been to bootcamp now for a few weeks as I have had some lower back problem but instead I’ve been cycling to work (3 miles each way) which saves on my tube costs and is good for my health. Anyway, back to the chess, I worked a full day then I had to eat something for dinner but being on a Paleo diet proves difficult unless you are eating lots of salad. So I decided to relax the rules, I got off at Earls Court and walked around for 20 minutes(time which I didn’t really have) trying to decide what to eat and settled for a microwaved vegetable curry where the server avoided giving me the potatoes. I’m pretty sure that’s not so Paleo but hey I’m trying! That meant I arrived on time and we were playing against King’s Head. It was a Universal French where I forgot my theory and hung a piece. It being half term (and me being a nanny) meant my schedule was more hectic than usual and I was very tempted to go back home, feel sorry for myself and get some sleep but instead I decided to fight on. I got back into the game and the end I may have been able to force a draw but I didn’t and lost. So it quite amazes me people, who work hard then come to a chess match and give it their all which sometimes is enough and other times you are too exhausted. I do believe sleep is so important in a game or in life in general and tiredness can affect your play. Right now I’m 195, and a lot of people are surprised that I’ve shot up so fast. Why all of the sudden have I gone up 20 points? Well, for one – I am ambitious about my chess and fairly confident in my ability. But the main secret that I’ll tell you for free, is to keep playing on and on and at some point someone (hopefully the opponent) blunders. I was reading the latest NIC (keeping up to date with any chess is also helpful) where Gawain was talking about his games during the classic, that one slight mistake with White and you have to work very hard to hold on for the draw, two slight mistakes and it’s all over whereas playing other non 2700+ GMs mean you can make a mistake and still be able to fight on from a lost position. Of course, everyone makes mistakes even the top GMs. Do you recognize this blunder where both players had a moment of chess blindness? 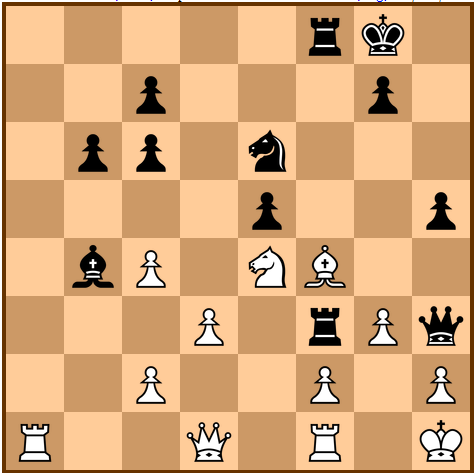 Carlsen-Aronian 27. Bf4 – what would you play here? 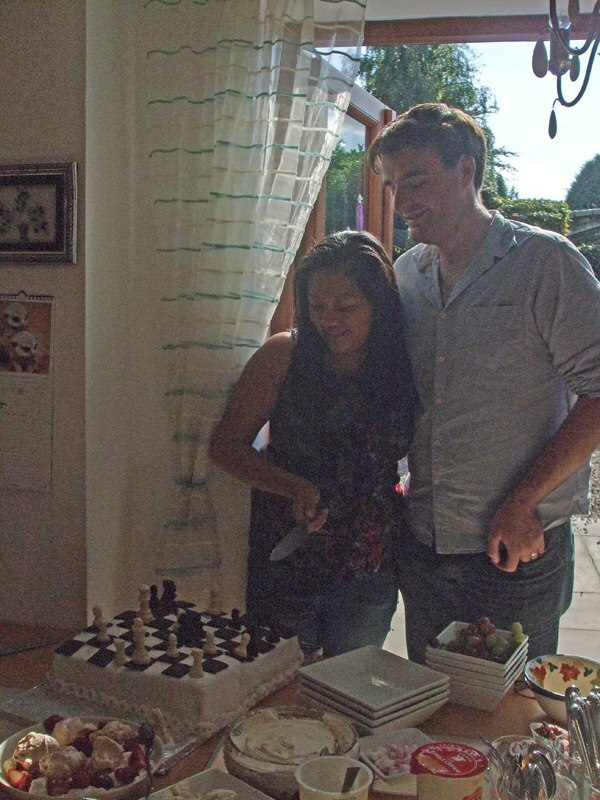 Check out the Chessvibes report from Sao Paulo and scroll down to find the answer.